Sunday’s in the city with friends + the best park ever! It was a hot one in Calgary this past weekend and with Stampeded kicked off, a busy one too! On weekends, the boys and I sometimes like to explore different areas of the city, discover new playgrounds, eat delicious food (I am turning them into foodies) or just go for a stroll and look at cranes, planes, trains, dogs, birds, etc… It’s all exciting! One of my good friends lives in the inner city and this weekend we also had a special guest come visit us! 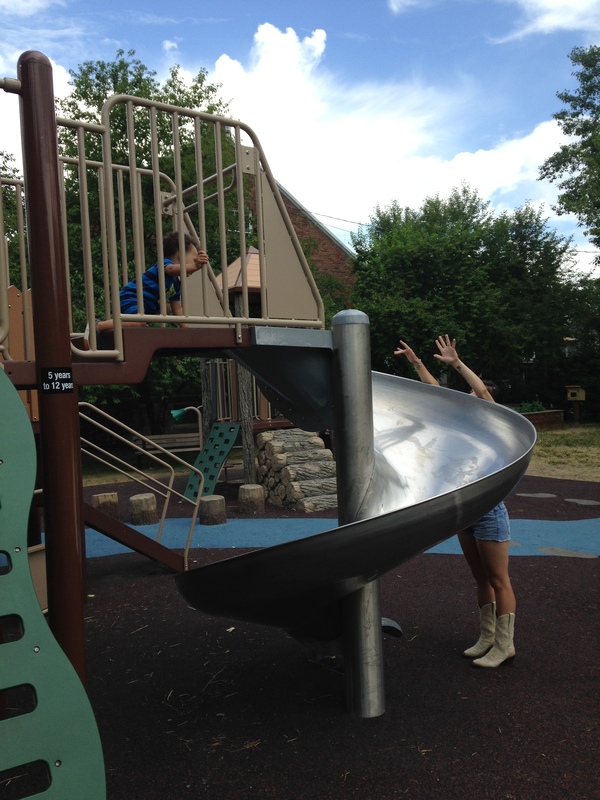 My friends are good sports and we did kid friendly activities for most of the weekend, also known as playground hopping. If you haven’t been to the playground in East Village yet, it’s one of our favourites – and a favourite for a lot of other families as well! We took a stroll through Cliff Bungalow, just off 17th avenue. It was a HOT day so ignore my disheveled appearance. We happened upon the playground at Cliff Bungalow school and, in the words of our five year old it was “THE BEST PARK EVER!” So, if you’re looking for a change of scenery and a good cup of coffee, stroll on down to 17th ave grab a coffee at Analog and walk up 5a street to Cliff Street which is where you will find this awesome park!